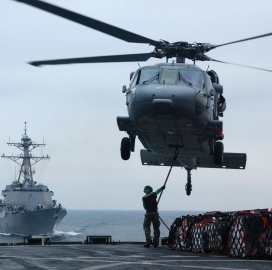 The U.S. Navy has awarded 19 companies spots on a potential seven-year, $12.6B contract vehicle for aircraft maintenance and logistics support services. The Contracted Maintenance, Modification, Aircrew and Related Services program covers logistical support for Navy and Air Force rotary-wing and fixed-wing aircraft, unmanned aerial vehicles, subsystems and related weapon systems, the Department of Defense said Tuesday. CMMARS also includes maintenance services to ensure the readiness of aircraft operated by U.S. and foreign military sales clients. The Naval Air Warfare Center Training Systems Division in Orlando, Fla., received 21 offers for the indefinite-delivery/indefinite-quantity contract and will obligate funds upon award of each task order. Majority of contract work will occur at various ashore and afloat locations in the U.S. through January 2024.